The board discussed at their last meeting to donate the proceeds from this year's Roses for Rotary campaign to the CKHA Oncology department. It was tossed around that it would be useful if this money could be redirected to be used for parking by oncology patients as this is an issue in this community. The logistics of that side of the proposal haven't quite been figured out yet though. Please let the board if you have any additional ideas for donating the money. If a response is not received, it will be assumed that you approve of donating the money to the Oncology department. Happy Sunday everyone! I hope everyone was able to stay warm this week. I'm not going to lie, I'm still playing with some of the goodies that Jeff Moco left us last week, although most of us were sure entirely what they were. That's besides the point, as this week I get to share some goodies about our fellow Rotarian, Mark Peacock. I sat with Mark for breakfast a few Tuesdays ago, and I was interested to learn that his wife still lives in Port Hope and teaches with the Peterborough Northumberland School Board. I'm glad we can be a Chatham family for Mark! I was also interested to learn that Mark knows my uncle who also spent some time working in Conservation. As Mark has mentioned once in at meeting, he has five sons, so he and his wife had their hands full. Mark's introduction into Rotary was through his father who was a Rotarian in Kapusaking and Mark was president of the Interact Club at Kapusaking District High School. Once he moved to Chatham, he was introduced to our Rotary club by John Lawrence and he mentions that he was impressed by the environmental work that John & Blake Vince were doing. Outside of work, Mark ran a family farm for many years which he left when he moved to Chatham. He is a long time active member of the Anglican church and held many positions through the church. He is a past president of the Port Hope Historical Society and the chair of the Dorothy's House Museum board. He also was the chair of the Port Hope Northumberland Community Health Centre for many years. Mark enjoys curling and hiking for fun. Mark has enjoyed meeting a lot of new people in Chatham and feels very welcomed! His favourite hole in the wall restaurants in C-K so far are Fat Jimmy'z in Blenheim and the Bangkok Cafe in Chatham. 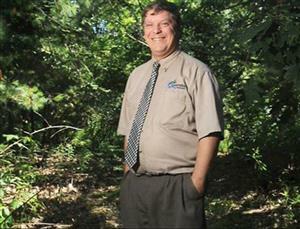 Mark dreamed of growing up to be a writer, and his moment in his career to date has been the completion of the construction of the Ganaraska Forest Centre. We hosted Jeff Moco, a youth engagement coordinator from CK Public Health. Vaping has actually made our local headlines, which you can read here. As Jeff acknowledged to us as well as in the article, vaping on school buses and on school property has become a rampant issue. Doug Swant mentioned in his thank you presentation that he's glad he's a retired principal. With vaping, the time of clinical addiction to nicotine, changes from months to hours. Ontario is the only province who currently allows public advertising for vapes. Jeff mentioned that this will be the first time in a number of years that the rate of smoking in youth has actually increased. After our guest speaker Wanda Bell, from the Chatham Hope Haven, spoke to us a few months ago, Kelley and Derek have just made their first donated dinner for the men. Kelley mentioned that due to the frigid weather we've been experiencing lately, hours for staying inside Hope Haven have been extended, with men staying until 12pm and returning at 5pm. They are currently seeking additional donations of chips, and other snacks. Where in the world is our Rotary Exchange Students? Nikola, the inbound exchange student from Poland currently hosted by the downtown club is looking to travel! She would love to go such places as Montreal and Ottawa, and is more than willing to pay her way. Mary Fran said she's a great conversationalist! Please let us know if you'd like to include her in your adventures. February's Rotary theme is Peace & Resolution!